THE full archive of Life of Wylie Ashes To Ashes blog posts for 2007, 2008 and ALL of 2009 is here. My original blog was hosted on the Movable Type platform used by the Manchester Evening News (MEN) but now has a new home here at WordPress. In late 2009 the MEN also moved their blogs – including my historical blog archives – to their own new WordPress platform but, so far, have failed to update links etc. This means that my Life of Wylie posts (including 11 Ashes To Ashes entries) between May and October 2009 are currently missing from this blog (still awaiting export from the MEN to here) and pics in posts prior to May 2009 are also missing, as the image links here point to the now defunct MEN Movable Type site. Archive content on both this site and the new MEN blog site has also been mashed by the move out of Movable Type. I can magic back the pics via changing the HTML image links and can also clean up the appearance of the text – as in Ashes To Ashes: The Lion Sleeps Tonight immediately before this post and a few others before that…but doing it for all the archive postings would take forever! If any experts out there know of a quick fix re the pics without having to do it entry by entry, I’d be delighted to hear from you! 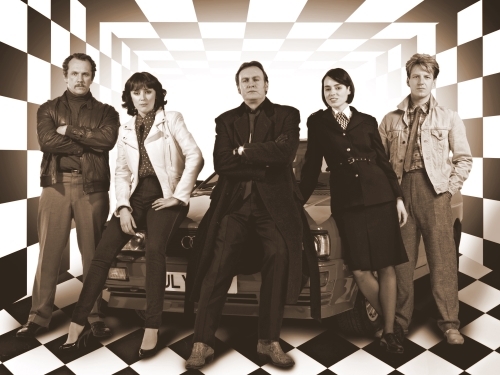 In the meantime, I’ll be blogging on this site about the third and final series of Ashes To Ashes (due on screen sometime around April 2010) very soon, having been on set again for cast interviews etc. Posted in Ashes To Ashes and tagged Ashes To Ashes, Keeley Hawes, life of wylie, philip glenister. Bookmark the permalink.